Abstraction is a process of hiding the implementation details from the user. Оnly the functionality will be provided to the user. In Java, abstraction is achieved using abstract classes and interfaces. We have a more detailed explanation on Java Interfaces, if you need more info about Interfaces please read this tutorial first. 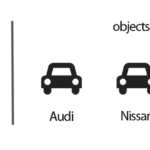 Abstraction is one of the four major concepts behind object-oriented programming (OOP). OOP questions are very common on job interviews, so you may expect questions about abstraction on your next Java job interview. To give an example of abstraction we will create one superclass called Employee and two subclasses – Contractor and FullTimeEmployee. Both subclasses have common properties to share, like the name of the employee and the the amount of money the person will be paid per hour. There is one major difference between contractors and full-time employees – the tyme they work for the company. Full-time employees work constantly 8 hours per day and the working time of contractors may vary. Lets first create the superclass Employee. Note the usage of abstract keyword in class definition. This marks the class to be abstract, which means it can not be instantiated directly. We define a method called calculateSalary() as an abstract method. This way you leave the implementation of this method to the inheritors of the Employee class. The Contractor class inherits all properties from its parent Employee but have to provide it’s own implementation to calculateSalary() method. In this case we multiply the value of payment per hour with given working hours. The FullTimeEmployee also has it’s own implementation ofcalculateSalary()method. In this case we just multiply by constant 8 hours. Java Basics abstraction, java, java job interview questions, oop. permalink. if i am not wrong according to you FullTimeEmployee achieve abstraction.but i confused how this guy can achieve abstraction. because he already know what to implement calculateSalary () in FullTimeEmployee . 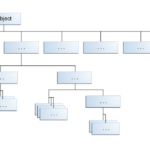 functionality of abstract methods and inheritance is similar. 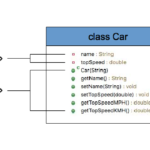 i don’t understand why you need to use abstract class in every abstraction example. When both are totally different?